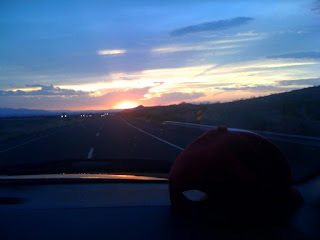 Tonight I have enjoyed the beautiful sunset as we left New Mexico and entered Arizona. The photo does not really capture it well. It had a nice pink color around it.